With the Champions League final in the rearview mirror and all major European domestic leagues now over, the focus of the soccer universe has shifted abruptly to the upcoming World Cup in Brazil, which begins in 15 days. The best players in Europe are meeting their national teams all over the world as the last slew of international friendlies get underway. Most of the 32 teams heading to Brazil, in addition to many that aren’t, are getting three warm-up games in before they descend on Brazil. Some of these games are underwhelming, like last night when Team USA sluggishly prevailed over Azerbaijan 2:0, Japan beat Cyprus 1:0, and Montenegro tied Iran 0:0. Others are more interesting, like Denmark-Sweden tonight, Netherlands-Ghana on Saturday, or USA-Turkey on Sunday. But the most interesting friendly this week takes place this evening in Mexico City. Tonight at 9:30, 7,800 miles west of Jerusalem, Israel’s national team makes a rare appearance in North America as they take on perennial powerhouse Mexico at the Estadio Azteca. And better yet, the game is on ESPN2, so get your DVRs set, or bring your tablets to bed to watch the game on the WatchESPN app (also known as how I watched the second half of USA-Azerbaijan yesterday). While the match is just an international friendly, and the stakes are low, playing at game at the Azteca is no joke. The combination of altitude (Mexico City sits almost 7,500 feet above sea level), noise (capacity: 105,000) and mythos (Mexico rarely loses at home), produces a home-pitch advantage that is hard to dispute. Before August 2012, when the USA won at the Azteca for the first time ever, they had been 0-23-1 there in the history of the rivalry. In truth, Israel heads to Mexico City with nothing to lose and with little international-caliber talent to field. In their last six matches they are 0-4-2, the two draws coming against lowly Northern Ireland and Azerbaijan, so hunting for both goals and a draw/win in Mexico will be a tall order. But there is some good news: all-world Mexican striker Chicharito won’t be playing, so perhaps there’s the chance for a miracle result. If Israel is to win they will be looking for contributions from Eran Zahavi, who led the Israeli domestic league in goals this past year with 29 (the most in 59 years), and the immortal Yossi Benayoun. Benayoun, who recently celebrated QPR’s promotion to English Premier League, will be making his 94th international appearance for the national team, in the process becoming the most-capped player in the history of Israel. 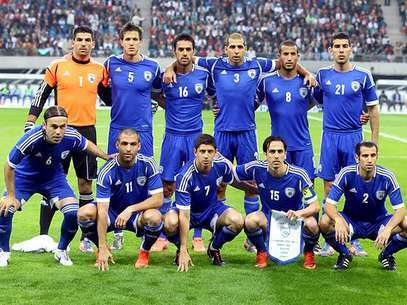 Israel will again be watching the World Cup from the sidelines, but as they begin to prepare for the qualification process for Euro 2016, tonight’s match should give them a taste of world-class opposition in a frenetic and hostile environment.